Comments: BRAND NEW!! MULTIPLE COPIES AVAILABLE. NEW CONDITION!! 100% MONEY BACK GUARANTEE!! BUY WITH CONFIDENCE! WE SHIP DAILY! !EXPEDITED SHIPPING AVAILABLE. Life After Death - Startling New EvidenceEvidence that not all near-death experiences are positive. 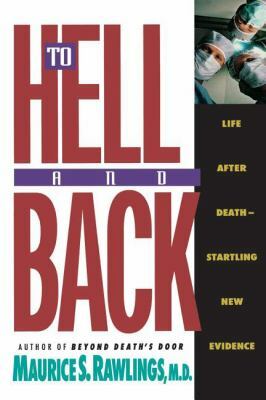 Some patients spoke of going to hell rather than heaven during times when they were clinically dead. Rawlings, Maurice S. is the author of 'To Hell and Back: Life after Death-Startling New Evidence' with ISBN 9780840767585 and ISBN 0840767587. Loading marketplace prices 134 copies from $0.51 How does the rental process work?